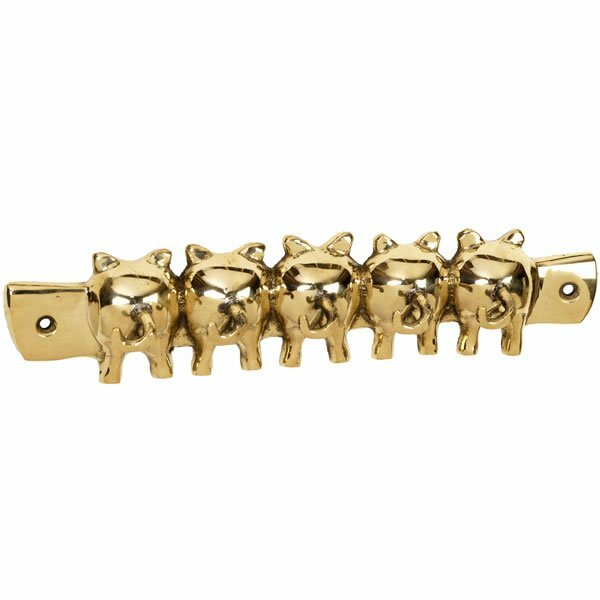 This quality brass key hook has 5 individual pig tails (hooks) that give individual hanging positions for sets of keys. The hook is suitable for wall mounting & has the wonderful pig tail design. It measures approximately 230mm (9") long.